I’d like to say how I am all set for Christmas, presents are wrapped, all work is done and I’m currently being a domestic goddess making gingerbread houses and homemade decorations with the children, but that would be a big fat lie. 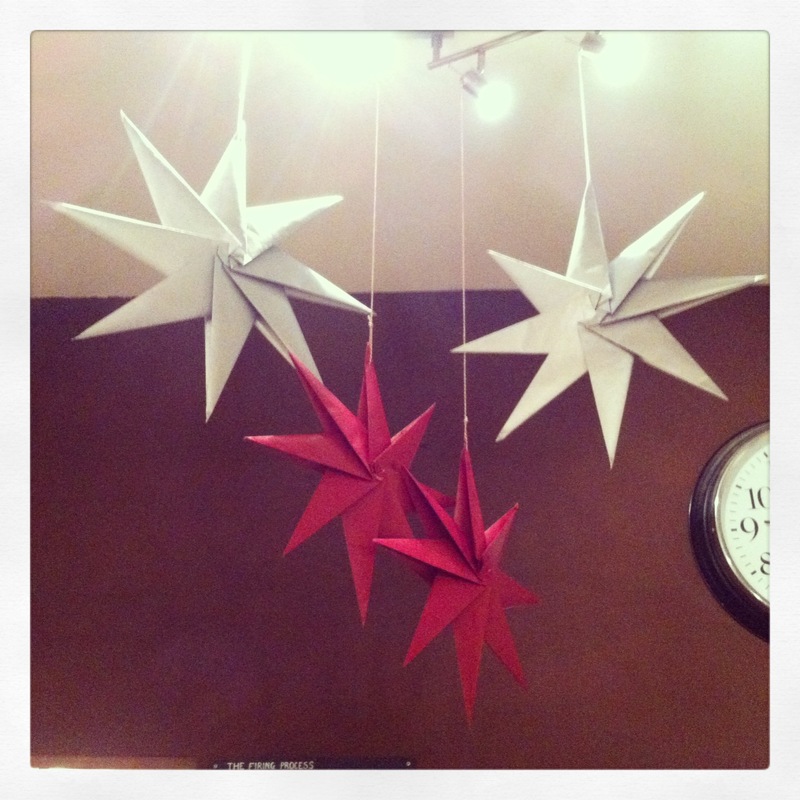 However, way back at the bitter end of November before I went Christmas market selling crazy and the shop was rammed full of people painting baubles I managed to make some lovely paper stars for Creative Biscuit. 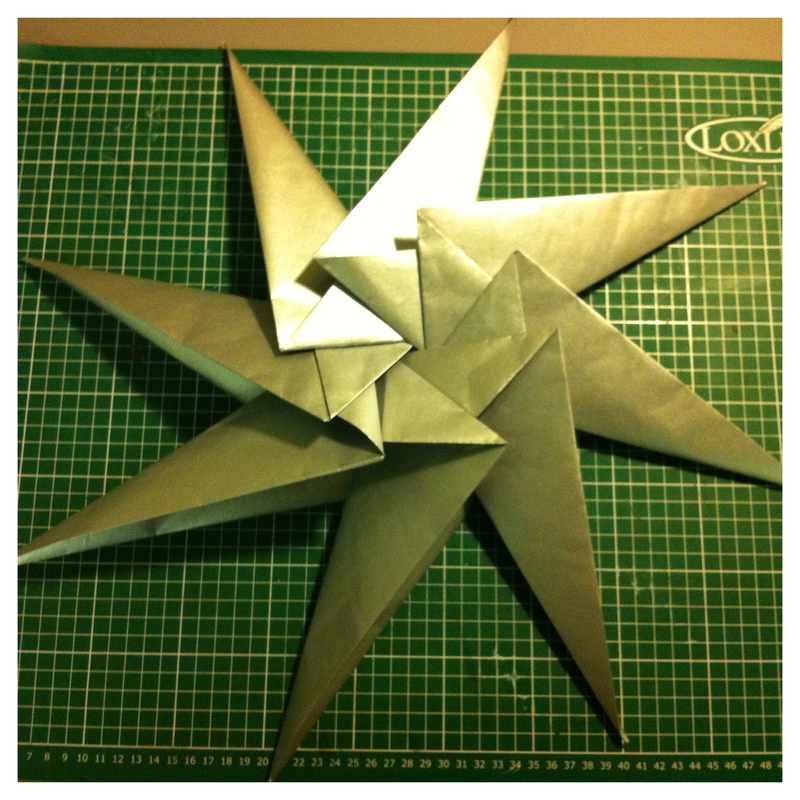 There’s still time to make some for Christmas all you need is some wrapping paper and a pair of scissors. 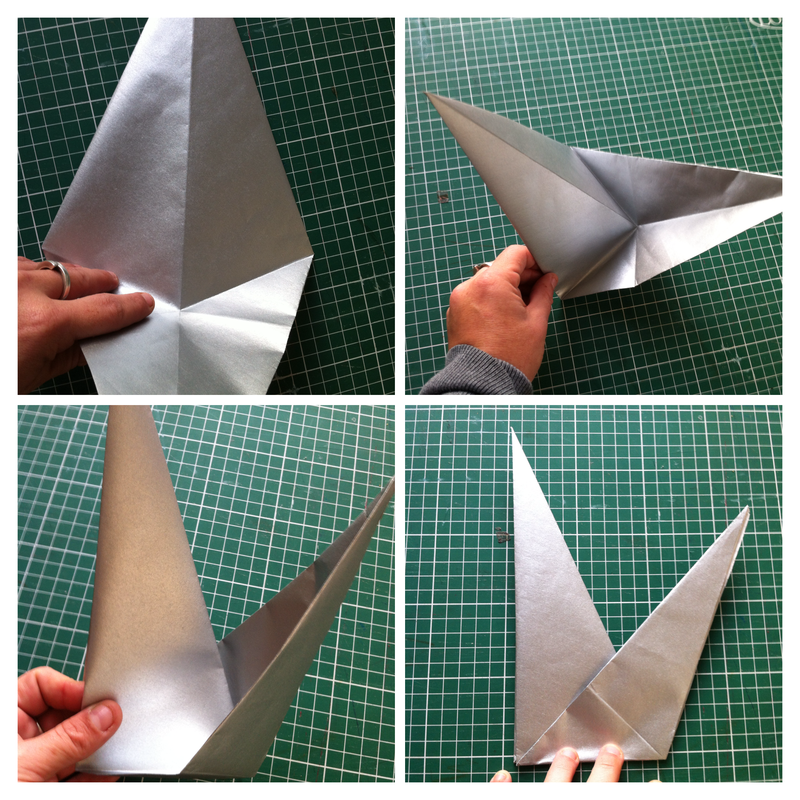 No glue or tape required. So let’s begin… First of all you need to cut eight squares of paper – mine were extra big to be hung in the shop so I made them 30cm by 30cm. 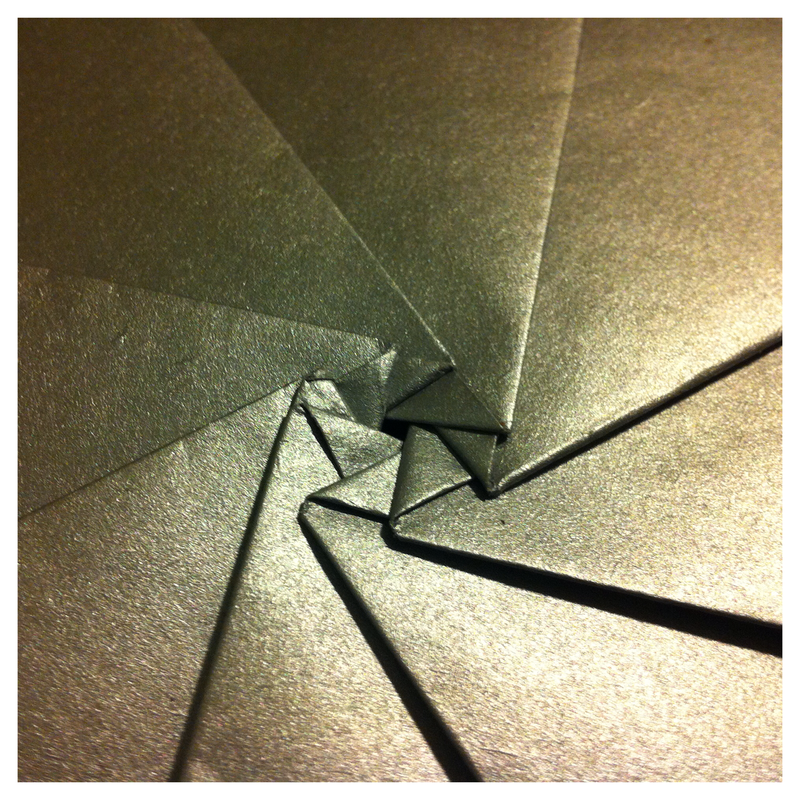 Take your first square and fold it in half then unfold it flat. 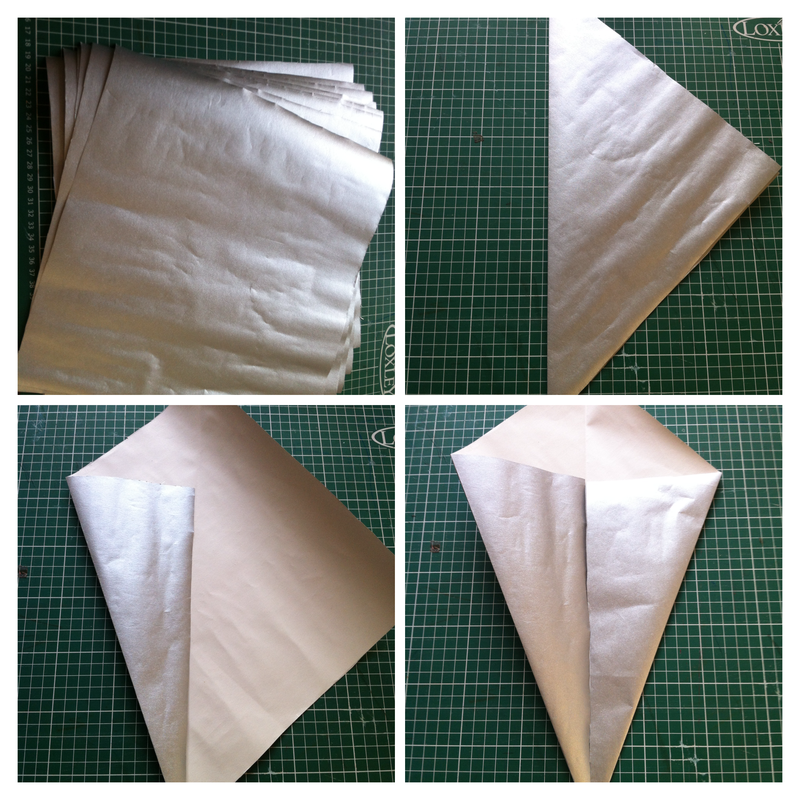 Next, fold the bottom sides into the middle so it makes a kite shape. 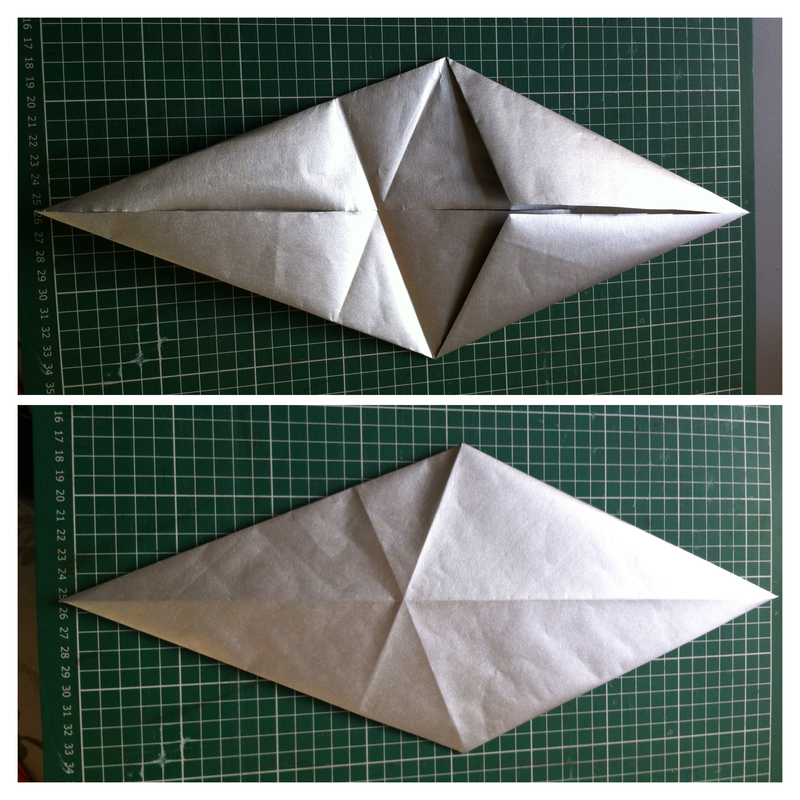 Fold both of the top sides into the middle. 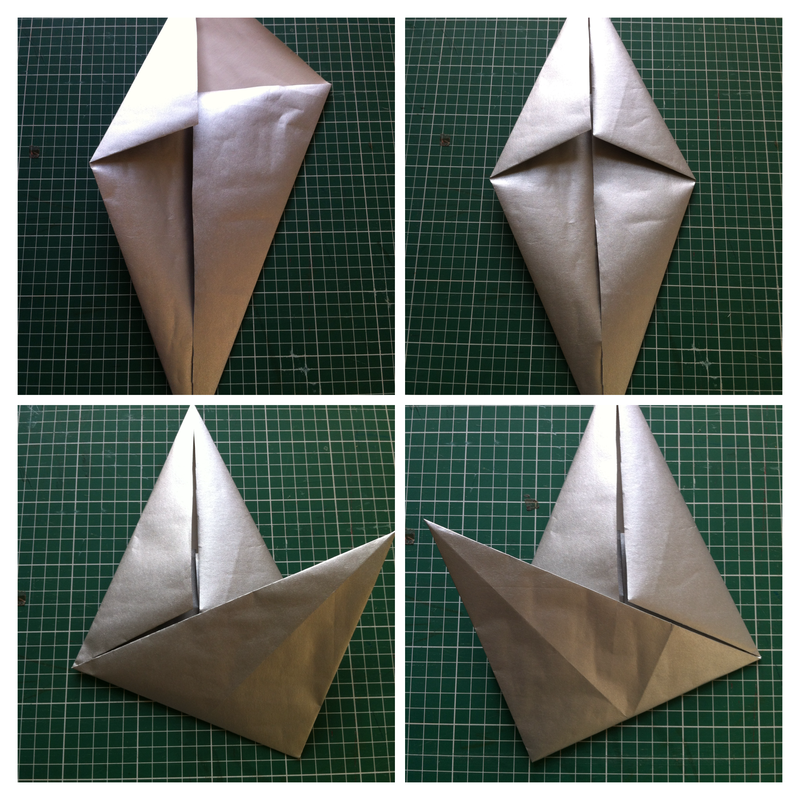 Next fold the bottom right side up so it follows the line of the top fold then fold it back down and do the same with the left side. 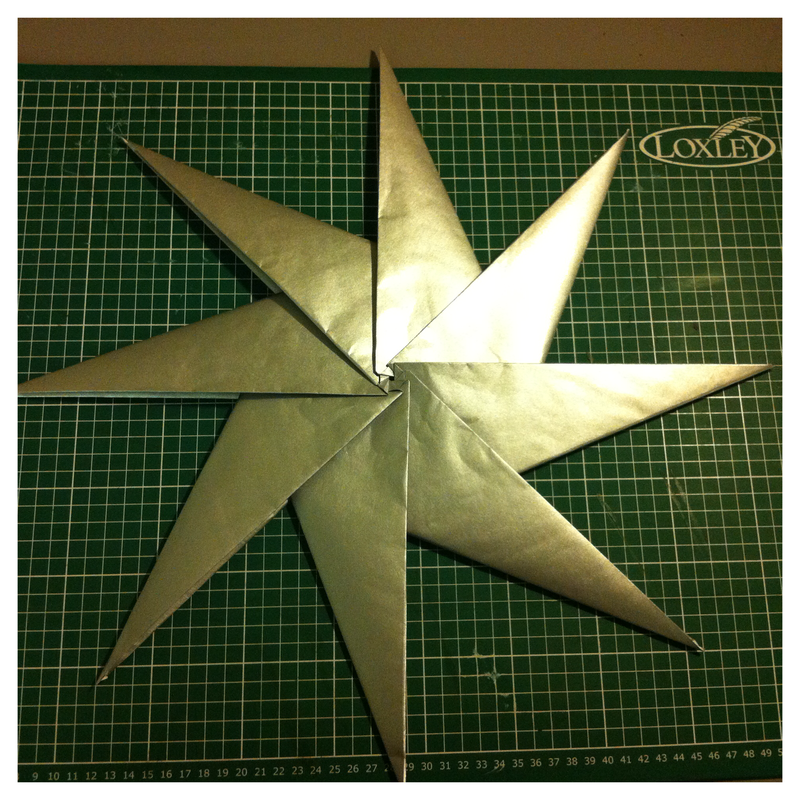 Now flip it over so it’s the plain side (as it were) and you can just see the fold lines. 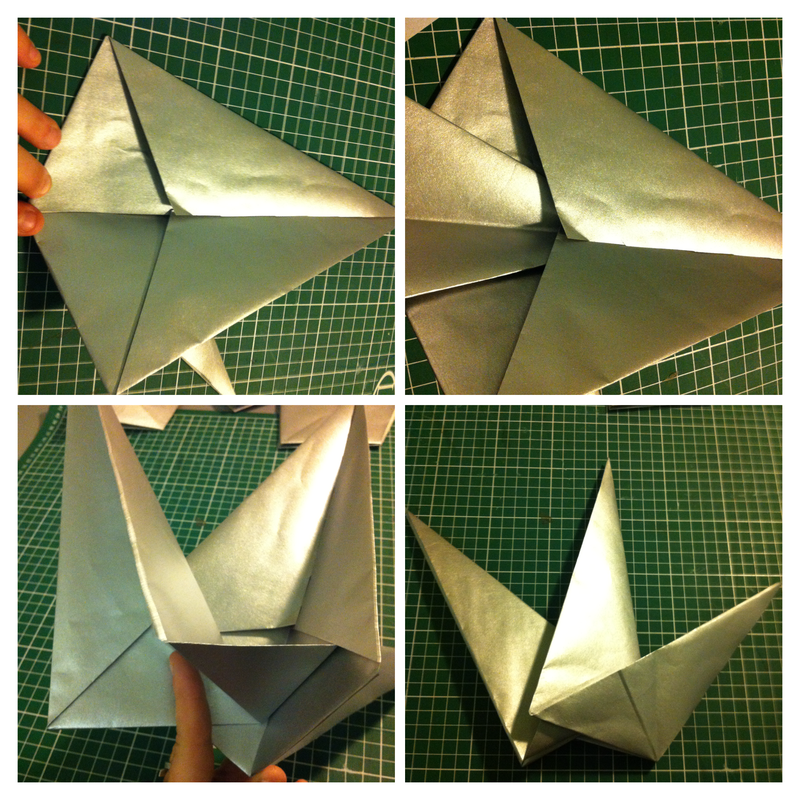 Now fold the right side up following the original fold from the other side. 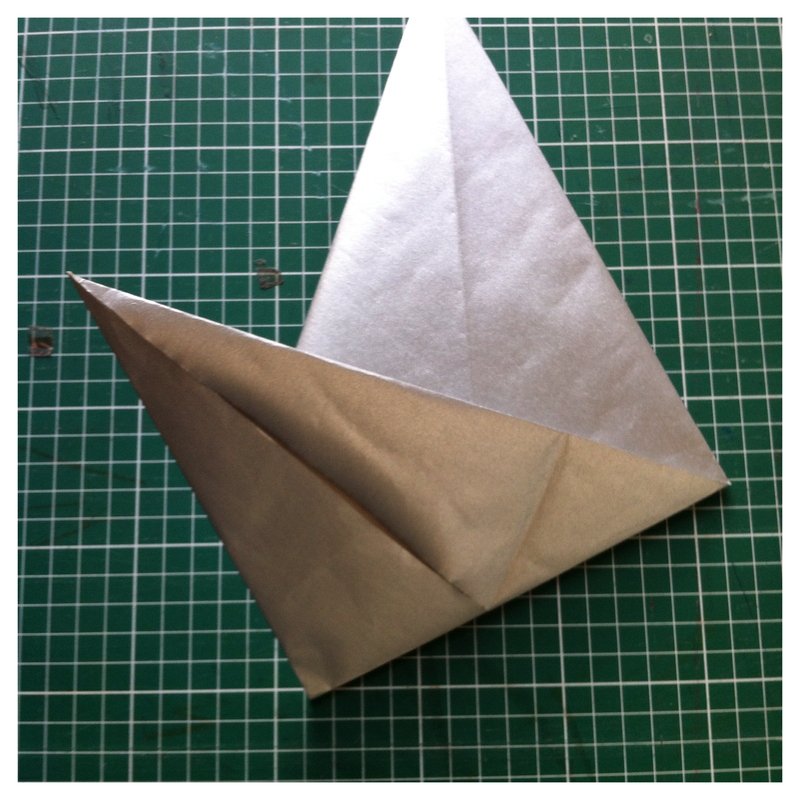 Using the triangle fold lines, fold the top end together so the small end lifts up. You know what, the pictures make much more sense than any description I can write, which is probably just going to confuse matters. Once you’ve done this you will end up with two points. Lovely stuff. Now make seven more. Done that? OK. Next up you want to open up the big end of one and put the little end of the other flat under the folds and then fold it together. At this point don’t worry too much about pushing it in too far, this will come later. Once you have it in, fold it back up and then do the same thing in a circle until all eight are joined together – as above.